The Manassas Museum has retired its annual Civil War Weekends, one year after the event was canceled in the wake of the deadly Charlottesville white supremacist rally. WASHINGTON — The Manassas Museum has retired its annual Civil War Weekends one year after the event was canceled in the wake of the deadly Charlottesville white supremacist rally. The First Battle of Bull Run, as it was called by Union forces, or The First Battle of Manassas, according to Confederate forces, was fought on July 21, 1861. It’s known as the first major battle of the American Civil War. Last year, days after counter-protester Heather Heyer was killed during the Unite The Right rally in Charlottesville, the Civil War Weekend in Manassas wasn’t held. 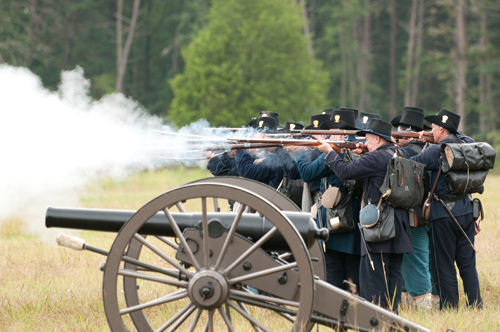 Now, the city has decided to widen its look into its past, with the introduction of Manassas History Weekend, running Aug. 24-26. Dellinger said the city had planned that last year’s Civil War Weekend would be the last. “We were going to pivot to something new, and then the unfortunate events of Charlottesville happened,” she said. With tensions running high over Civil War memorials and statues in cities across the country, Dellinger said, people can disagree about historic events. Dellinger said most of the Civil War exhibitions will be held at Liberia House, which was a plantation owned by Harriett Bladen Mitchell Weir and her husband, William James Weir. The Manassas History Weekend is free of charge, Dellinger said.